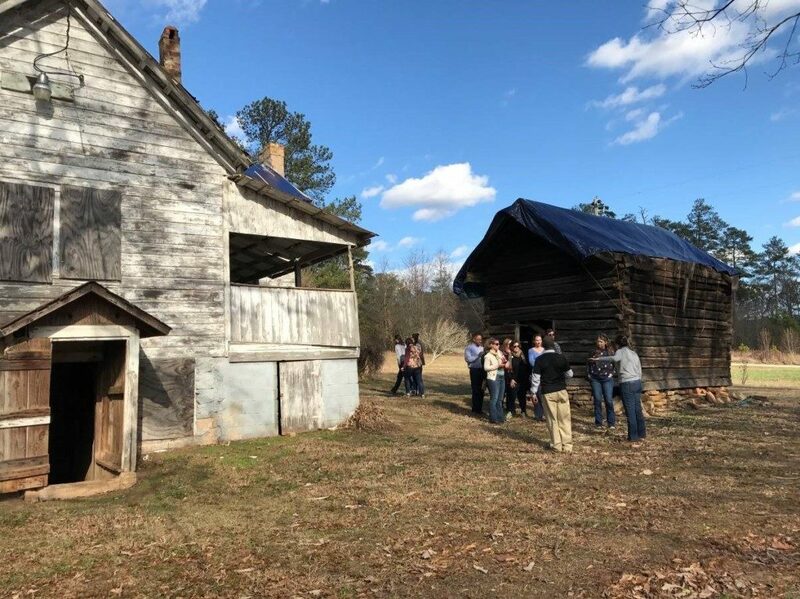 Arabia Mountain Heritage Area Alliance will coordinate restoration of Lyon Farm historic structures. On Tuesday, March 13, 2018 the DeKalb County Board of Commissioners unanimously authorized CEO Michael Thurmond to execute an agreement to stabilize the historic Lyon Farm. This homestead comprises a historic farmhouse and smokehouse that are believed to contain the oldest homestead in DeKalb County. The Lyon Farm, over 100 acres, was purchased by the DeKalb County Department of Watershed Management (DWM) in 2006 as part of the Pole Bridge Advanced Wastewater Treatment Plant and Sprayfields. In 2016, the historic structures were placed on the Georgia Trust for Historic Preservation’s “Places in Peril” list due to excessive damage to the roof and other structural elements. 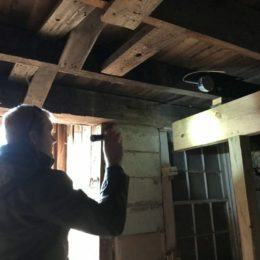 This project, budgeted at $225,000, will restore the structural integrity of the farmhouse and smokehouse, repair the roof, and provide much needed weather proofing. 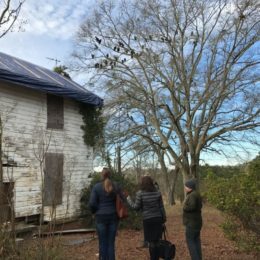 Arabia Alliance Executive Director Mera Cardenas and Georgia Trust Director of Preservation Neale Nickels during a site visit at the historic Lyon Farm in January 2017. Members from the Alliance of National Heritage Areas tour the historic Lyon Farm in early January 2017. 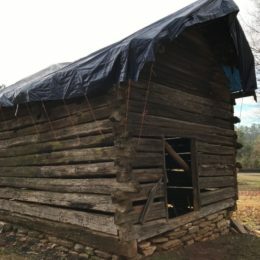 The Lyon Farm is part of the Arabia Mountain National Heritage Area and has been identified as a future site for tourism and youth education. It will eventually tie directly into Atlanta’s Beltline through the Arabia Mountain PATH, a multi-use trail over 33 miles long. 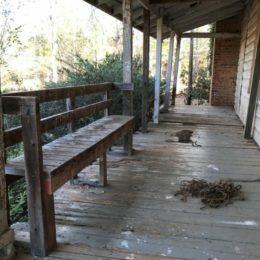 The Arabia Mountain Heritage Area Alliance will coordinate the restoration of the structures and look for opportunities to add some “sweat equity” to bring them to a reusable level. This unique public-private partnership will help control project costs and ensure that the restoration meets the requirements for historic preservation. 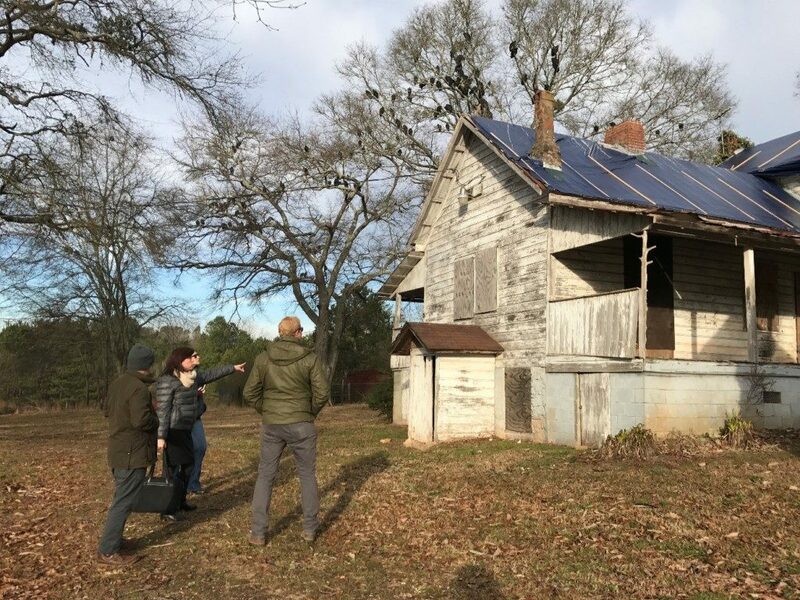 “The Arabia Alliance looks forward to actively working with DeKalb County to stabilize the historic house and find an adaptive reuse that will engage the community with its vibrant past,” says Executive Director Mera Cardenas. The dedication of financial resources to preserve and stabilize the Lyon House by CEO Michael Thurmond and the Board of Commissioners will create a legacy protecting this cultural treasure and preserving it for future generations. 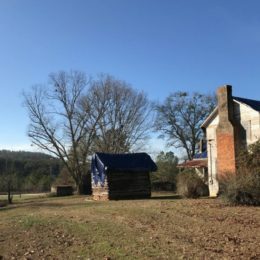 One of the oldest houses in DeKalb County, the Lyon Farmhouse was built by Joseph Emmanuel Lyon, a former British soldier who was awarded 100 acres for taking the Oath of Allegiance after being captured and serving with the patriots during the American Revolution. Lyon originally built a log cabin on the property in the 1820s. It was expanded in 1853 and again in 1893, creating the structure that stands today. Built in a vernacular architecture style, the house and various outbuildings reflect a self-sustaining farm where cultivating cotton, apples, muscadines, pears, lemons, sorghum, and bees were a part of life. The homestead is the last remaining intact farm of what once made up the agricultural area called Flat Rock. 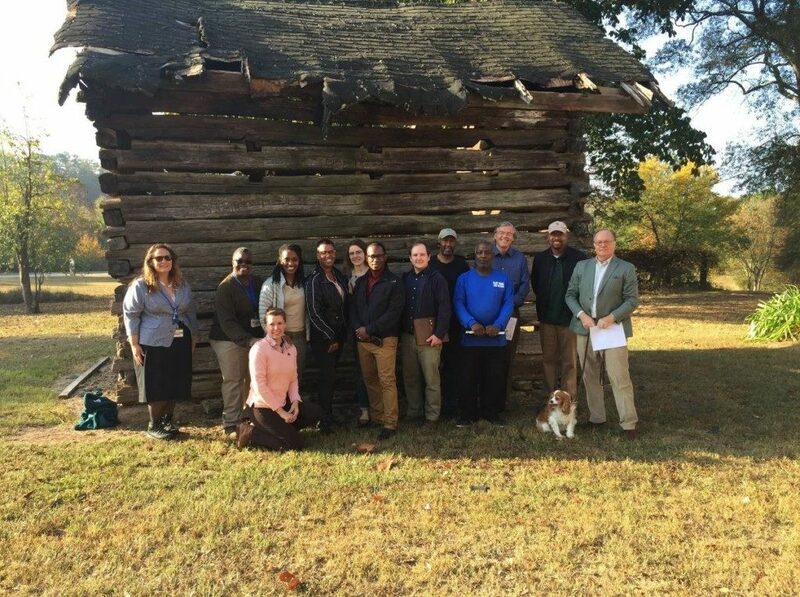 Members of the Arabia Alliance along with DeKalb County officials from Watershed Management and Recreation, Parks & Cultural Affairs, Flat Rock Archives, The Georgia Trust, and Greening Youth Foundation during a site visit at the historic Lyon Farm. The Lyon homestead, including the Farmhouse and associated outbuildings.